Vegetarian food. For a ‘carnivore’ like me, it’s almost like a bad word. I’m the kind of person who avoids vegetarian food at all costs, unless there’s a metaphorical gun to my head. This food review was one I was dreading, to be honest. My brain kept fighting the notion that people can survive without eating meat in their diet – boy, was I in for a surprise! When we stepped into the Organic Leaf, which is located in Section 17, Petaling Jaya, the first thing I noticed was its cosiness – it almost felt like home. The scent of the dishes being cooked wafted into my nose, and I couldn’t help but notice it didn’t smell very ‘green’ at all! All of a sudden, I was looking forward to the dishes – I was intrigued! The first dish we tried was the Radish Soup. 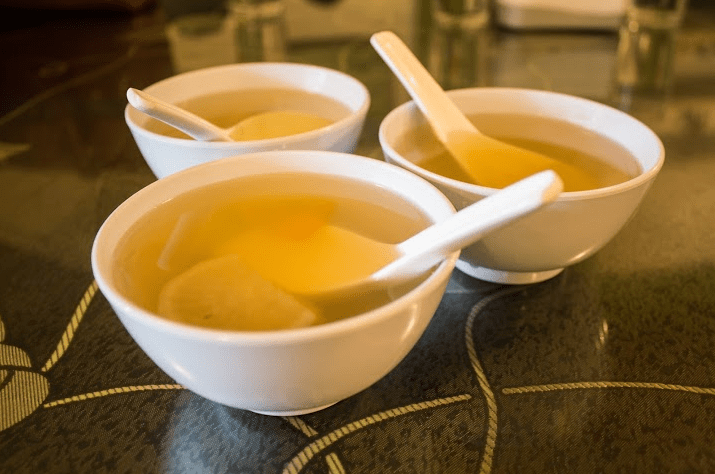 To be honest, the soup was one of the best, most heartwarming and refreshing soups I have had – and I’m not even a soup person! There was absolutely no traces of oil in the soup, and the subtle taste of radish tasted lovely with the vegetable stock they used to flavour the soup. Definitely a winning starter! Next came three classically Asian dishes with a bowl of brown rice for each of us. The Assam Fish, worthy of sonnets, tasted so amazingly like fish that if I didn’t know it was vegetarian, I would have definitely thought it was actual fish! The ‘fish’ in this dish is made from soy and seaweed, but don’t let that turn you away. It was wonderfully flaky and tasty, and the assam paste it was cooked in was so appetizing, we went in for seconds (and thirds!). 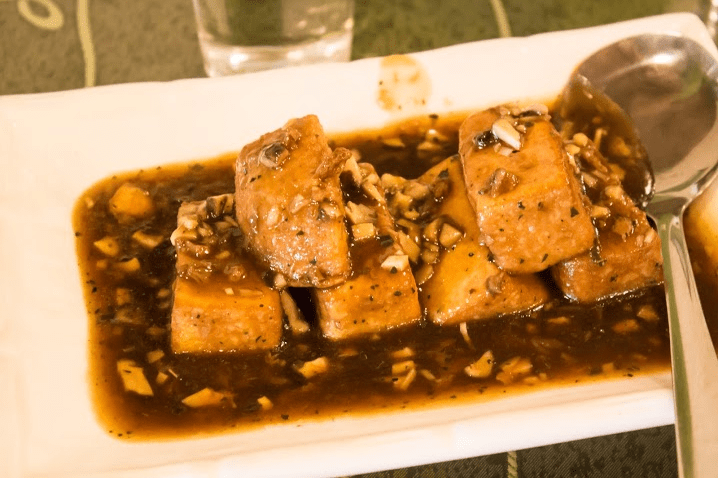 We also tried the Chinese Mahogany Beancurd, which was a simple dish of beancurds sautéed with spices and black pepper and some soy sauce. The taste wasn’t simple though! 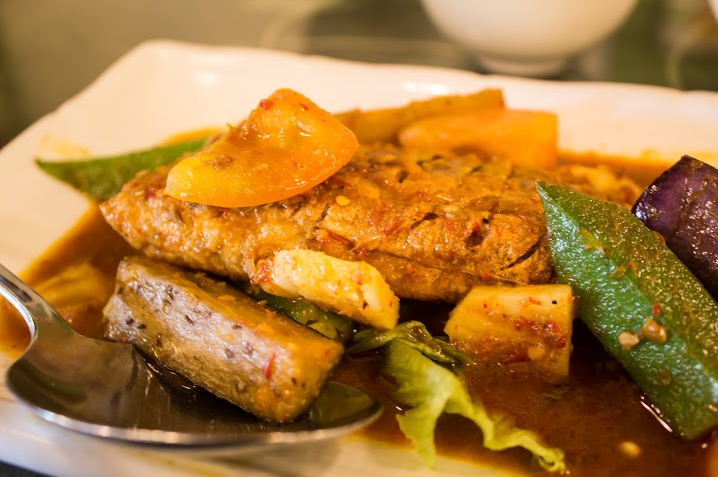 Its mildness brought out the flavours even more and it was a perfect accompaniment to the spicy and tangy Assam Fish. The dish of the day, for me, was the Crispy Cereal Pumpkin. Basically the dish consisted of pumpkin slices fried with curry leaves, chili, pepper and oats. The outcome was a crunchy, finger-lickin’ dish which tasted good enough as a dish on its own. You wouldn’t believe how fast the pumpkin flew from the plate – it was that good! Just the right amount of spice and the oats lent some wonderful texture to the dish. We were (almost) converts! 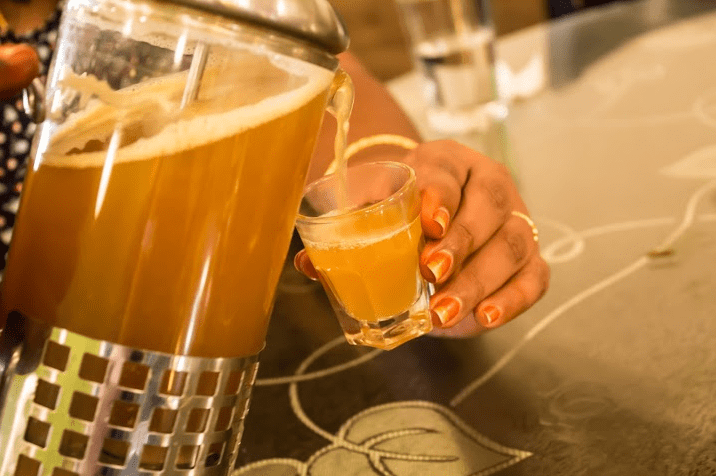 We also made room for some hot fruit tea, which was seriously addictive! I imagine it to be a good drink to have in the night while hanging out with friends and family. Lastly we tried the Mushroom Satay, which were sticks of butter sautéed monkeyhead mushrooms (yes, that’s the name!) 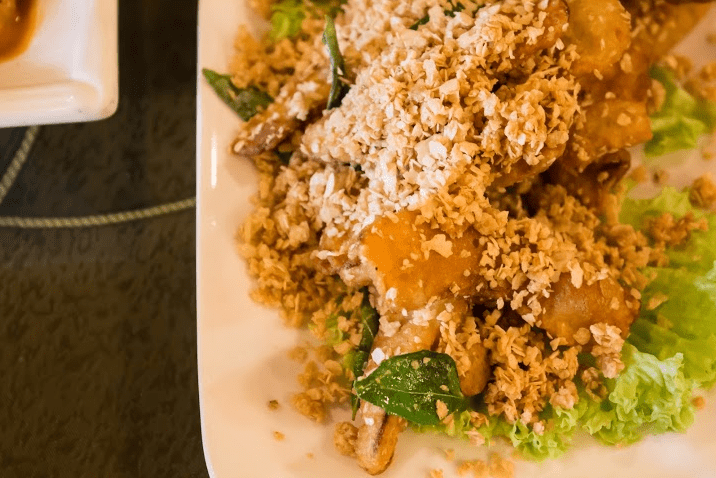 topped with delicious peanut sauce. Although peanut sauces in conventional satay shops contain belacan or dried shrimp, the vegetarian one didn’t taste much different at all! The satay itself was crisp, chewy and juicy all at once. Vegetarian food, now? If it’s at Organic Leaf, why not?